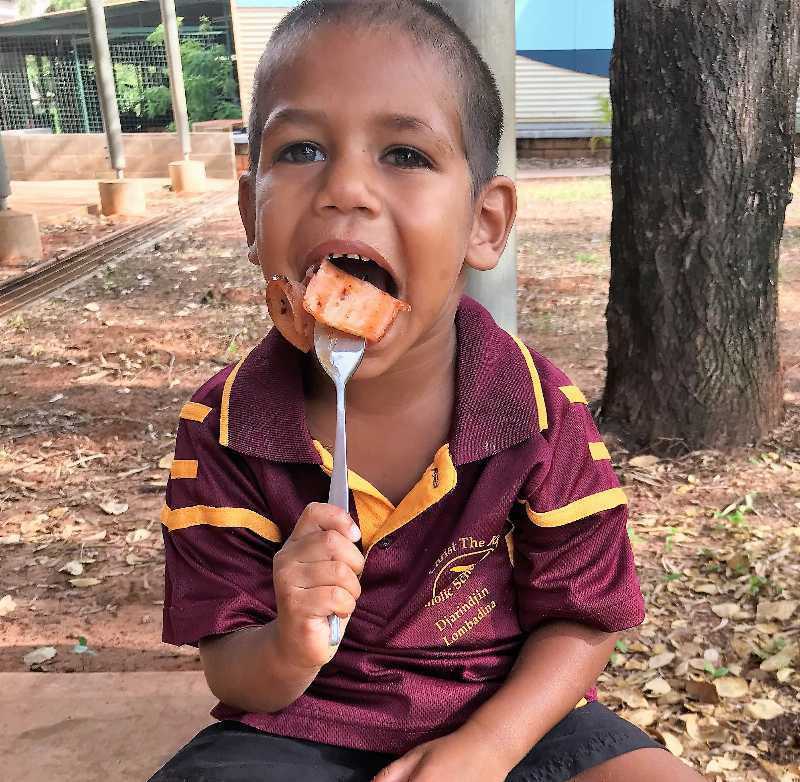 As we all know good nutrition means sharper minds and healthier students. 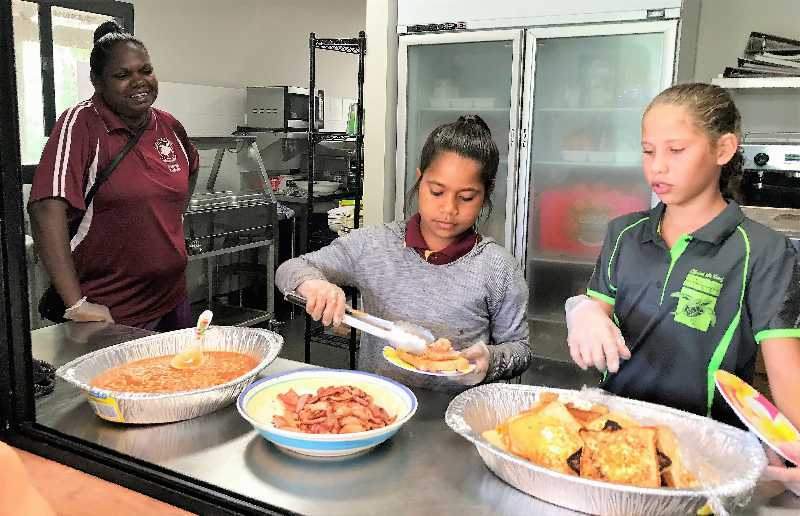 So to make sure our students are stronger smarter kids, Miss Eva and Miss Jaylynn have been working closely with Miss Sharon to redesign the lunch menus for our students in the new Hospitality kitchen. The menu will consist of hot and cold lunches such as spaghetti bolognaise, stir fry, chicken and salmon pasta bakes, healthy Jamie Oliver inspired hamburgers full of vegetables, salad and chicken wraps as well as the occasional home-made healthy pizza lunch. All recipes are chosen carefully to make sure ingredients are balanced and varied and low in sugar and salts. 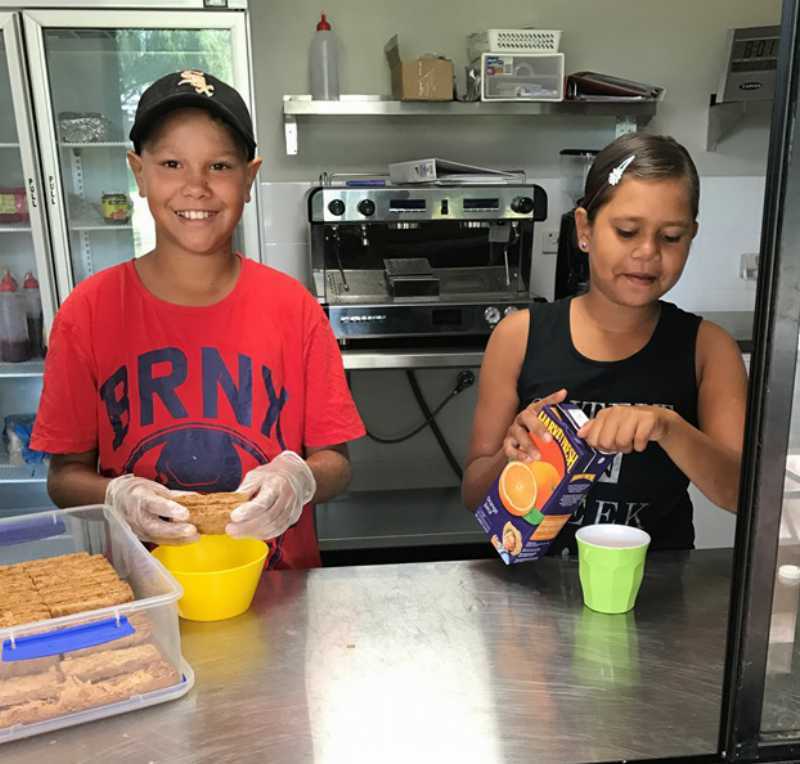 Miss Eva and Miss Jaylynn will always welcome parents and carers to volunteer and assist in the kitchen. So, if cooking is something you enjoy, please come and join us. We would also like to collect some traditional cooking recipes that can be taught to the students as part of their cultural studies program and feature in our Christ the King Cookbook that we will be creating later in the Term. 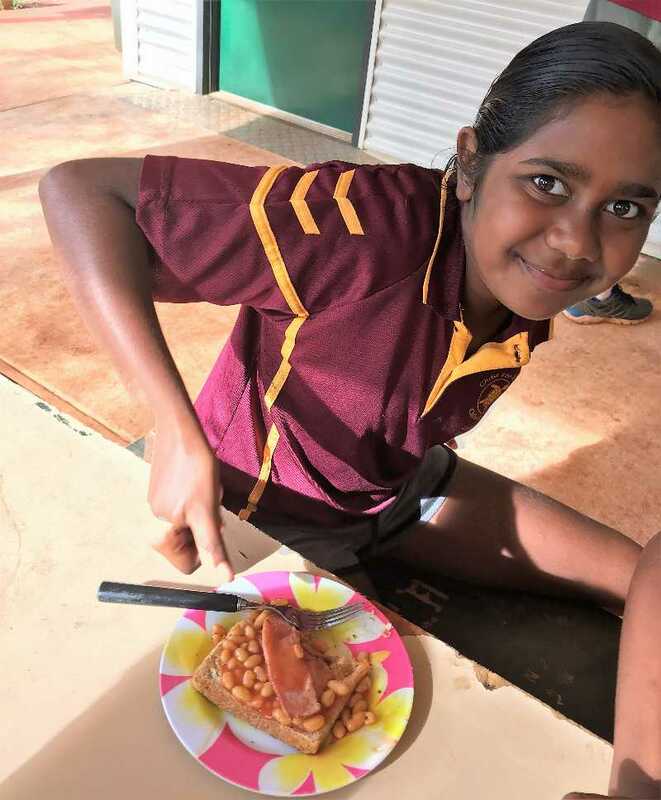 Recipes will be written in Bardi and English with the help of Grace Lewis, community members and our own Aboriginal Teaching Assistants. These will be published and sold to the public. So get those recipes rolling in! Enjoying lunch the students made for themselves. Who wouldn't come early to school!